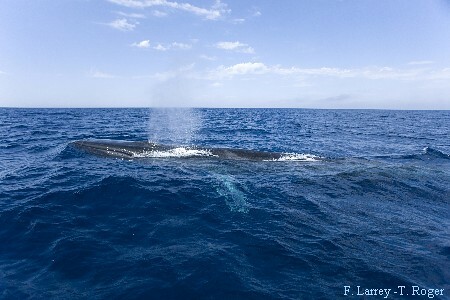 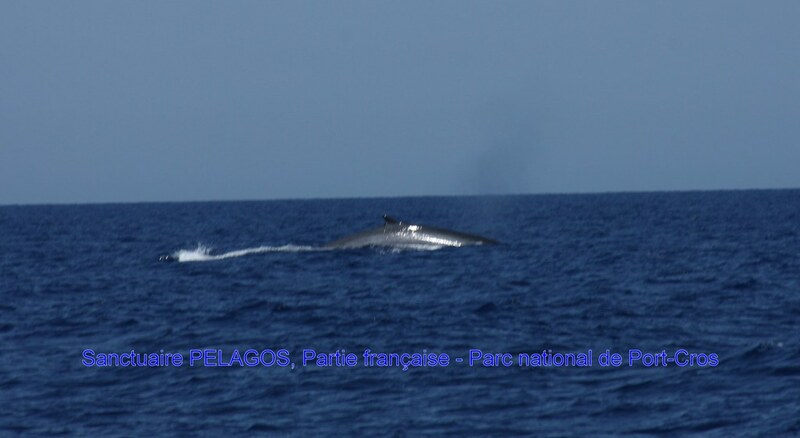 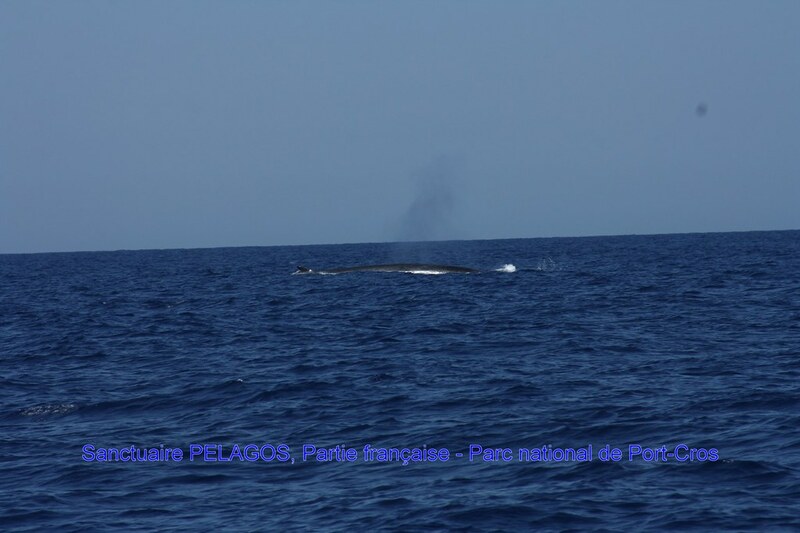 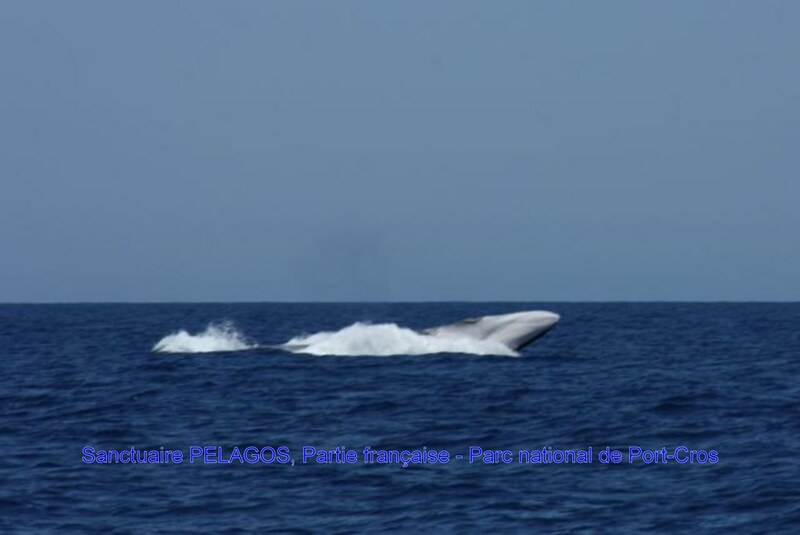 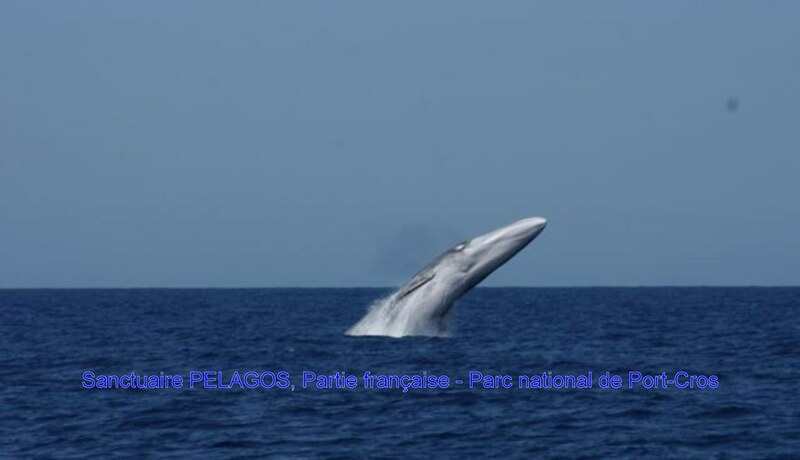 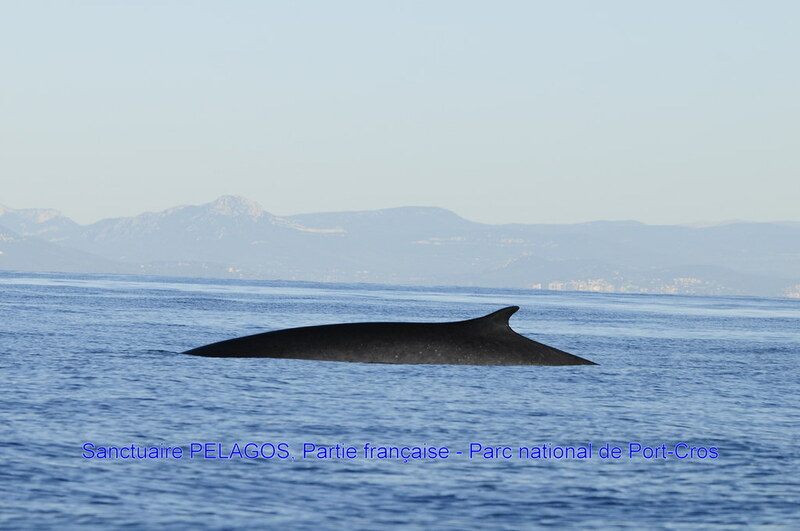 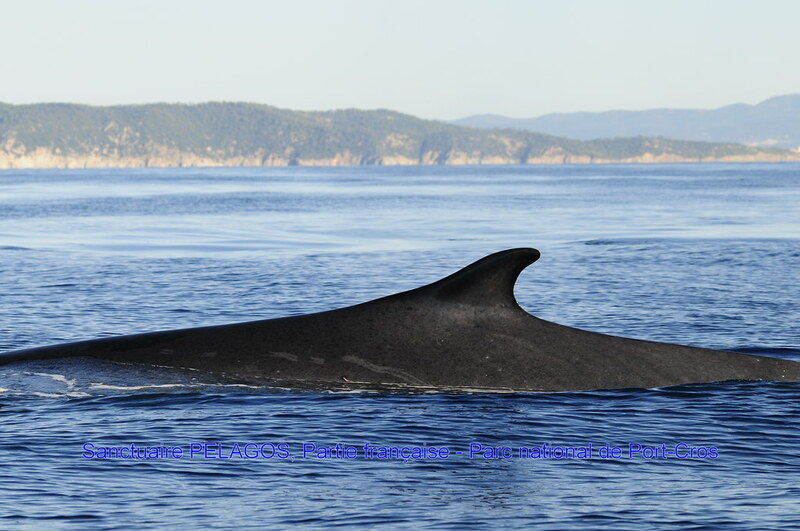 Fin whales are the only Mysticete species commonly found in the Mediterranean. 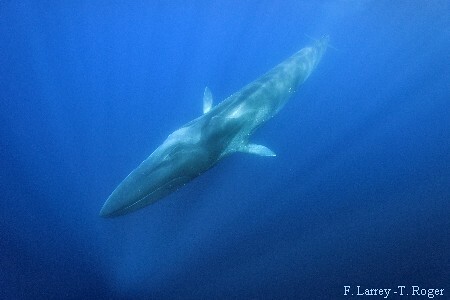 In terms of both size (up to 22 m long) and weight (up to 70 tons), they are the second largest animal on the planet, just behind blue whales (Balaenoptera musculus). 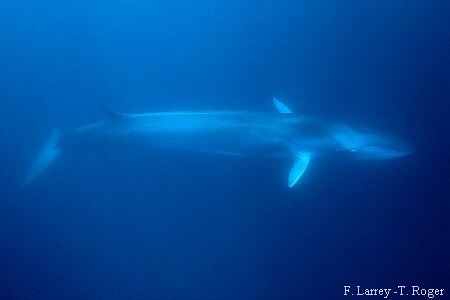 They have long, slender bodies. 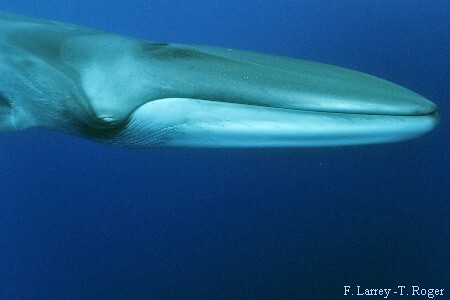 They can live to the age of eighty. 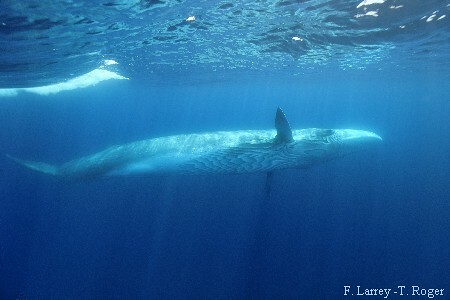 More than a thousand individuals are found in the deep waters (1,000 m below the surface) of the Sanctuary, mainly in the summer, when krill is abundant. 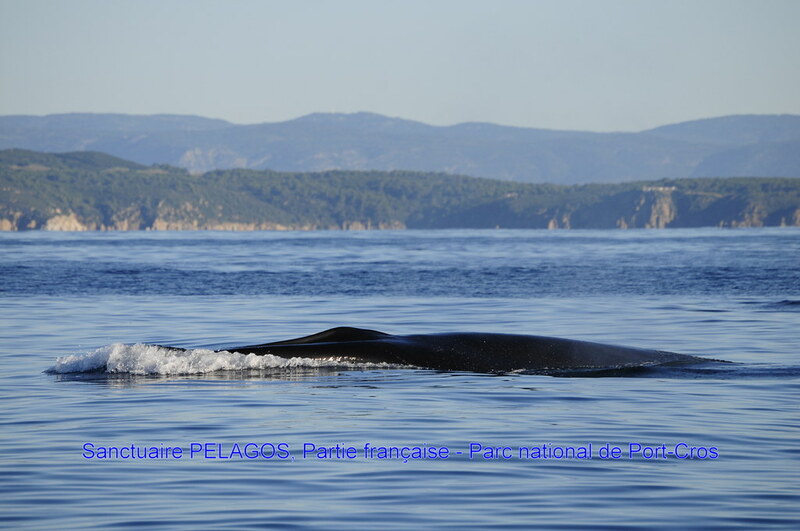 Every year, births and small newborns (around 6 m long and weighing 2 tons) can be sighted along the coasts of Provence and Corsica.. 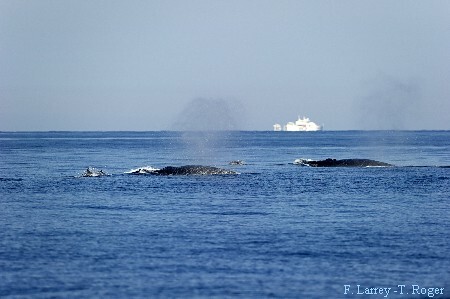 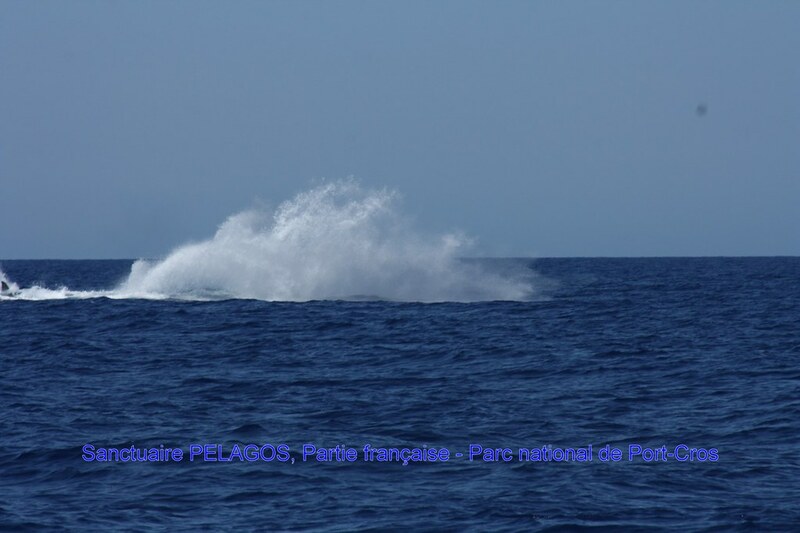 Mainly marine traffic – the species seems to be unable to identify the locations of large vessels and thus cannot avoid collisions.